Let’s say we recommend to our patient that s/he should see a cognitive therapist. But we may not know of a cognitive therapist close to where the patient lives. Also, how do we know if the psychotherapist has any real training or expertise in cognitive therapy? Here are two resources that we can recommend for finding a cognitive therapist with at least some credentials or credibility. The Academy of Cognitive Therapy (www.academyofct.org) is an organization that certifies cognitive therapists and its website allows you to search for a cognitive therapist by location. To try it out, click on the link below and do a search for the area near your office. 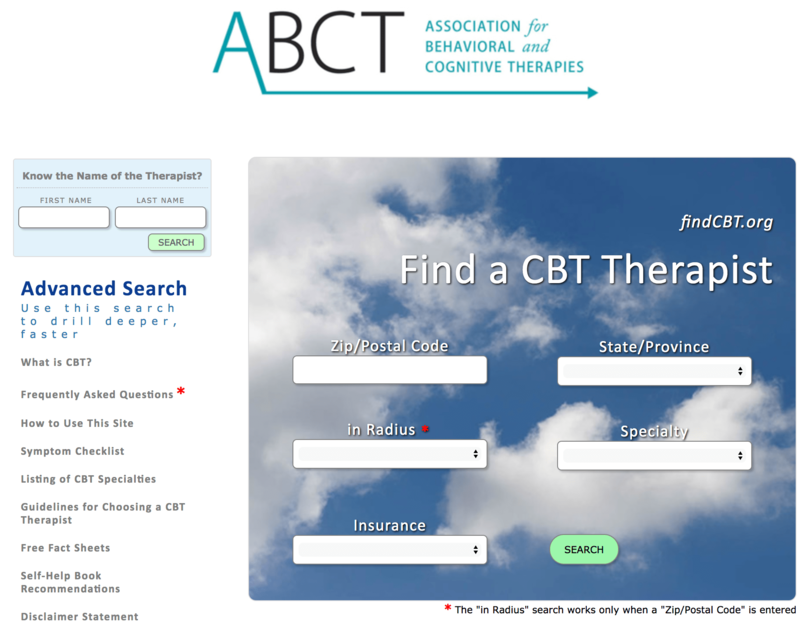 Another great resource for finding a therapist with expertise in CBT is the Association of Behavioral and Cognitive Therapies. Enter your email address HERE to receive FREE useful tips about mental health issues from this website.